Don't get too excited; we are not going to talk about iFixit kind of rooting. Did you know that the coat of paint on the rear side of the Galaxy S8 can be removed with a solvent, leaving a transparent layer of glass that can be used to reveal all of the internals of the phone? This short video will show you how to do just that. Zach earlier performed a bend test on the Galaxy S8 and with the phone passing with flying colors, the YouTuber who goes by the handle JerryRigEverything now has a different project he’d like to share with you. This is not the first time that he’s undertaken this; if our memory serves us correctly, he showed off a Galaxy S6 with a clear glass back and using the same process, albeit a difficult one, is going to be carried out with the Galaxy S8. If you decide to do this yourself then be warned that tearing down your smartphone will void your warranty and in removing the coat of paint, you will be forced to remove the adhesive covering the boundaries of the handset. As a result, the phone will cease to be water and dust-resistant so make sure that you know what you’re getting yourself into before carrying out this procedure. Since using a pry tool and blade did not remove the coat of paint present on the underside of the Galaxy S8 back panel, using a solvent was necessary but after that, tearing that paint became a piece of cake. According to Zach, he invested around one hour in removing the coat of paint. Now that the glass panel has no visible paint marks on it, in comes the next step. 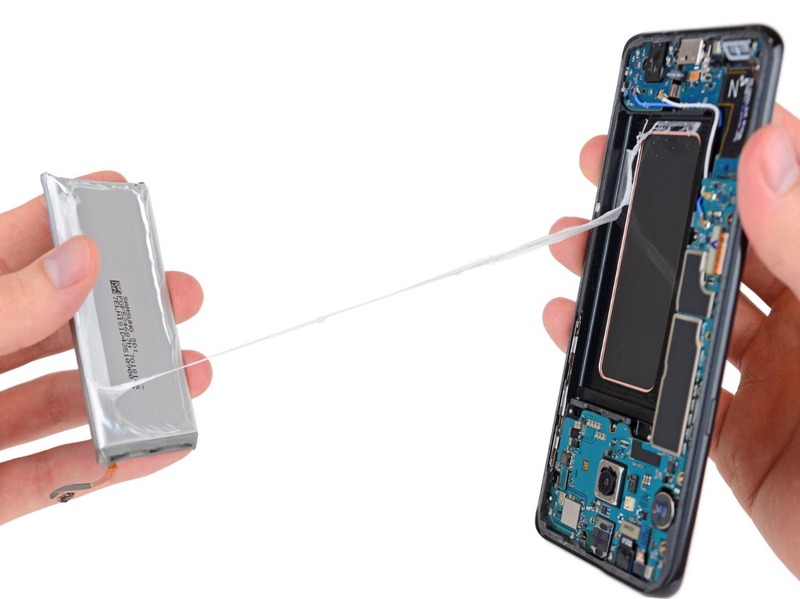 To show off the battery and other internals, Zach was forced to remove the Qi wireless charging coil and also cut out a piece of plastic to reveal the charging port. We’re assuming that you would want wireless charging capability on the Galaxy S8 so we highly recommend that you leave it there. Did you enjoy watching this video? Let us know your thoughts down in the comments.